Men and women do their best to keep their secrets to themselves. This fact is particularly true about their intimate life, irrespective of whether they are bound or not. The suspicion of infidelity in one of both partners leads to serious psychological frustration and stress. In this case the best solution is not to play the good cop in the funny sense of the word, as we are sure this idea came to your head, but to seek professional help from a PRIVATE DETECTIVE. Our DETECTIVES will surely help you take down your tension and what is more, you will definitely learn the truth – HOW, WITH WHOM, WHEN, WHERE! This serious evidence material, provided by the detective agency through OBSERVATION and PICTURE MATERIAL, could be used in a possible divorce suit. Busy days, stress at work and accumulated exhaustion are very often the reasons why PARENTS fail to notice what is happening to their children. SURFING THE INTERNET IS A SERIOUS HAZARD. Even at first contact with a stranger on the Internet, over 58% of children say their real name, and 36% share their photos or real-time video. When meeting virtual friends for the first time, 32% of children are usually accompanied by friends, classmates, brothers or sisters. As many as 19 % of the children go to such meetings on their own. WE, DETECTIVES VARNA, CAN TRACK YOUR CHILDREN IF YOU HAVE SERIOUS DOUBTS ABOUT USE OF DRUGS, DANGEROUS FRIENDS OR SUSPICIOUS ABSENCES. After unemployment, DRUG and GAMBLING dependence is the second major problem among young people in Bulgaria according to a public opinion poll conducted by Alpha Research. Little by little, for children who use drugs friendship becomes uncertain, love – unnecessary, relations with parents – tense. Drug addicts usually change their attitude and behavior to their relatives, acquaintances and friends. The PRIVATE DETECTIVES can REVEAL the presence of such a DEPENDENCE in your close relative or family member. The PRIVATE DETECTIVES can TRACK CHILDREN whose parents have serious doubts about use of DRUGS or ALCOHOL. 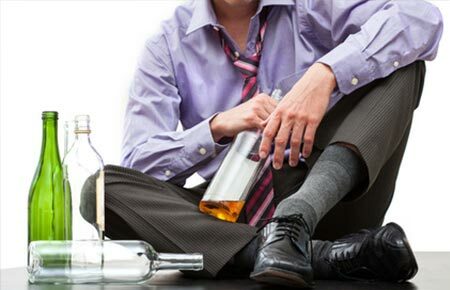 The PRIVATE DETECTIVES may also provide assistance with the TREATMENT of DRUG addiction.